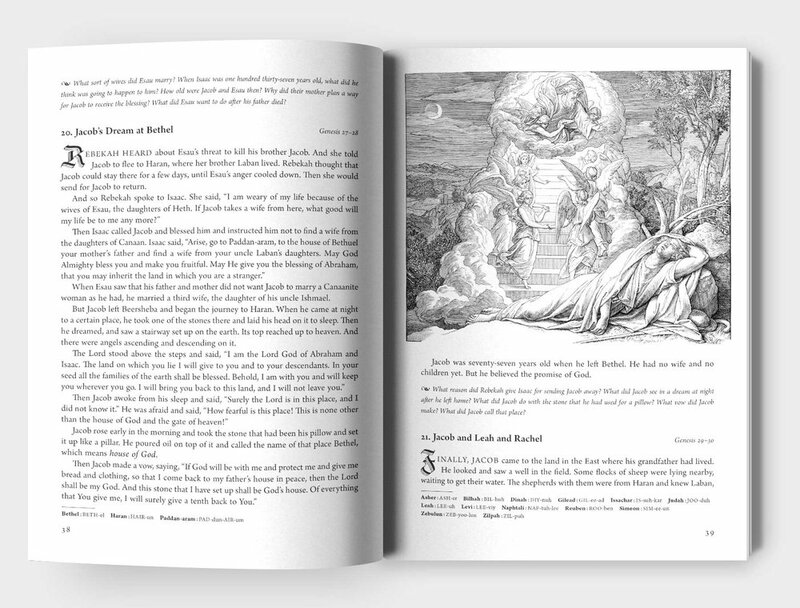 The Ælfred Rex Bible Story Book is a chronological telling of the narrative of Scripture. Careful attention has been given to details and accuracy throughout. Based on the Ælfred Rex Bible Story Book, this curriculum is designed to reinforce and supplement the teaching of Bible stories to children. 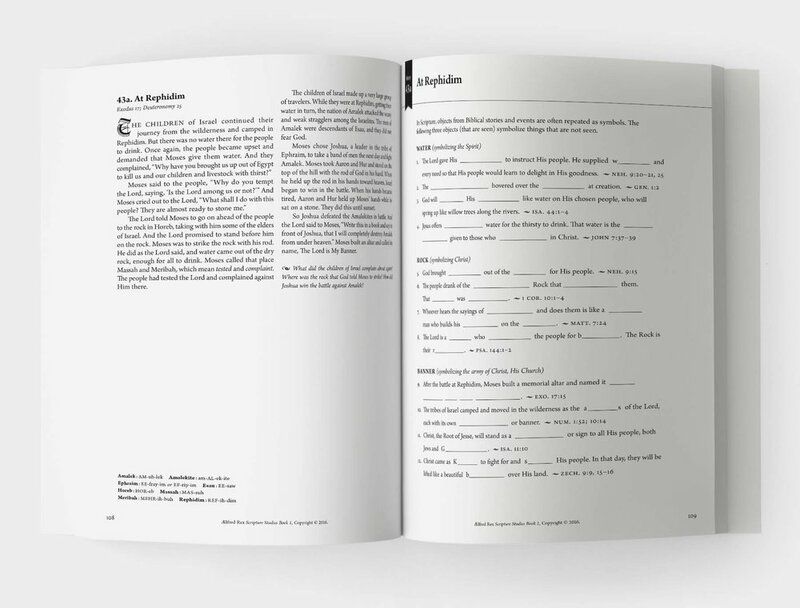 In both the church and the school editions, there are two levels of curriculum: Bible Story Lessons is suggested for ages 5–9, and Scripture Studies for ages 9–13. Each unit includes teacher’s guides and student workbooks.